Tourism Minister Levin ignores Attorney General, pushes Nationality Law in its totality. 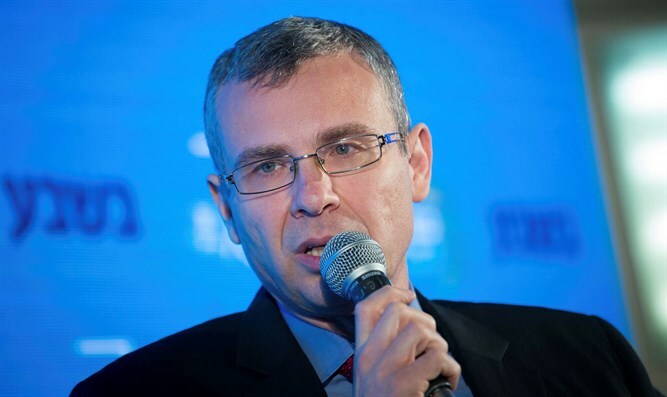 Tourism Minister Yariv Levin (Likud) will advance the Nationality Law despite Attorney General Avichai Mandelblit's opposition to one of its sections, Israel Hayom reported. The Nationality Law would establish the status of the State of Israel as the nation-state of the Jewish people and the right of the Jewish people to self-determination in its homeland as a unique right for the Jewish people. It would also anchor the symbols of the state, Jerusalem as the capital of Israel, the Jewish calendar as the country's official calendar, and the Hebrew language as the official language. Mandelblit opposes the section of the bill which would allow Jewish communal settlements to refuse to allow non-Jews to live within their boundaries, the report said. The above section is the only practical section of the bill, which otherwise is made up mostly of affirmations and statements defining Israel's Jewish character. Earlier this month, Israeli Prime Minister Binyamin Netanyahu ordered the coalition to pass the Nationality Law before the end of the summer Knesset session.